Nurseries and children’s rooms need soft furnishings to make for cosy reading corners and snuggly spaces. Bright, colourful, sustainable – even interactive, we just love this new brand. DittoHouse has been created by designer and Cleveland Institute of Art graduate Molly Fitzgerald, who kick-started her career by working as a textile designer in one of the last remaining woven textile mills in the US. She spent time learning both the design and manufacture processes, before creating graphic repeat prints for airlines, home furnishings and baby accessories. Like so many other mums, after the birth of her son, Molly began dreaming of beautiful home accessories to adorn her child’s space. When she couldn’t find what she was looking for, she began creating her own, and DittoHouse was born. The range is underpinned by vibrant, primary colours, graphic prints and sustainability. The products are made from recycled cotton, which would have otherwise ended up in landfill. 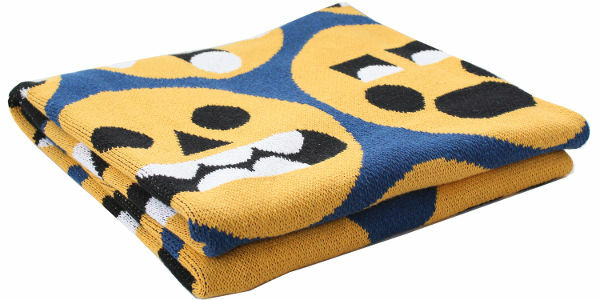 The collection includes blankets (US$160) and pillows (US$75), which are currently available to pre-order. But they’re not your run-of-the-mill blankets and pillows – they’re interactive! 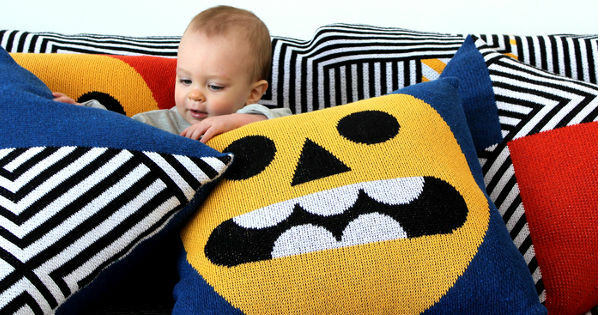 The machine washable blankets and pillows are dotted with faces that may just reflect what you or your kids are feeling. In fact the emote throw has all of your emotional bases covered! 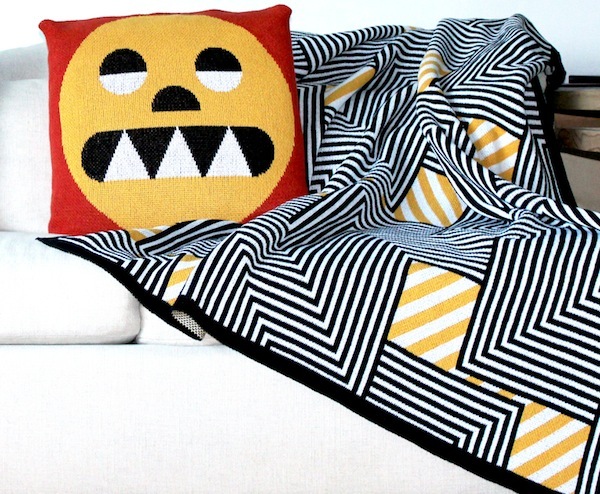 There are also some other fabulous options, like the ice bear and squawk throws. Shop the collection at DittoHouse, which ships to Australia.